Good news keeps on flowing from Microsoft’s Build 2016: the company’s most popular health app, Microsoft Health, received important updates. The Microsoft Band 2 also received some love, with the updates adding useful social features. Microsoft Health now lets you connect to your friends who are using the app and compete against them in various health activities and challenges. You can now set up a championship for the number of steps taken in a day, for example. Do you want to know who burned the most calories or who ran the furthest? Set up a leaderboard to track all the results and invite your friends to take part in the challenge. Speaking of social networking related features, the display on Microsoft Band 2 can now show more text for notifications from Facebook or email. There is also more space available for displaying the SMS and emails you receive. This is a useful feature keeping you up to date with what is going on around you. You now have more control over the notifications sent to your Band 2 by choosing which apps can send notifications to the device. You can, of course, turn notifications on and off from particular apps or select what kind of notifications reach your Band 2. For example, for your Run tile, you can choose three primary stats to display on your Band during your run: speed, distance, and duration. This allows you to focus on the information that is truly useful to you. And speaking of tiles, 2o more fitness tiles have been added to the fitness band. Now you’ve got no excuse to avoid exercising, and no excuse not to look your best at the beach this summer. Use the tiles to vary the type of exercises for best results. 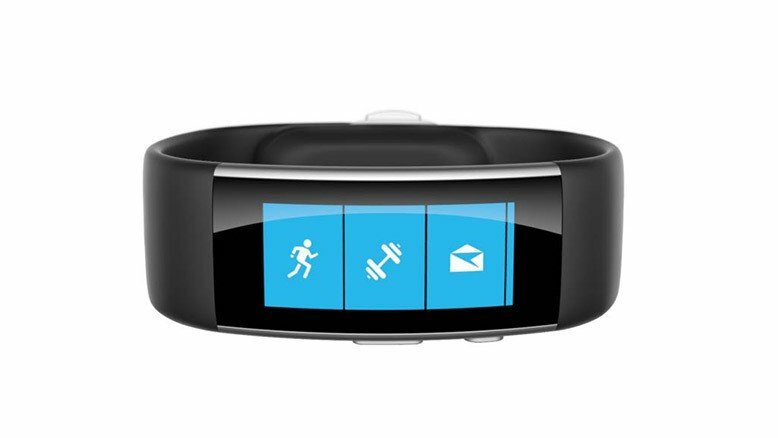 Check out all the tiles on Microsoft’s Band 2 support page. In order to benefit from all these new features, make sure to update your Microsoft Health app. You can download the app from here.